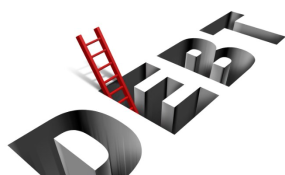 Is Kenya Debt a Reflection of Govt's Big Appetite for Loans? The International Monetary Fund has warned that Kenya debt is approaching the unsustainable levels following the rate at which new loans are being contracted. The IMF at the same time wants the interest rates controls abolished saying it had stifled lending to the private sector. Jan Mikkelsen, the resident representative to Kenya said IMF is concerned about high fiscal deficit. "This is not good to sustain the economy. It will force the government to finance its deficit through commercial borrowing hence squeezing out lending to private sector," he said. He told the Budget and Appropriations Committee (BAC) that reducing the budget deficit will allow more resources to go to private sector since the government will demand less in borrowing from local banks. "We have been concerned and we are working with the government on a program to reduce fiscal deficit and stabilise debt situation. We advise government to work towards reducing debt," he told the committee chaired by MP Kimani Ichung'wa. The IMF mission to Kenya headed by Ben Clements also asked MPs to repeal the law capping interest rates saying its impact has negatively affected borrowing to private sector and the Small and Medium Enterprises. "There are concerns of high cost of credit. There has been slow movement in credit to private sector since introduction of the caps three and half years ago," Nikko Hobdari, senior economist at the IMF said. While recommending the total abolition of the caps, Mr Hordbari the imposition of the same in September 2016 had affected the flow of lending and deposits. "Data from banks shows there are been big decline in lending. There has been a drop of 10 per cent in lending to SMEs. "There has been a shift in lending by banks from private to public sector. The loan books have recorded 25 per cent decline and that small banks were lending to SMEs majority of which have been squeezed out," he said. Parliament approved a law that capped interest charged on loans at not more than 4 per cent of Central Bank rate while deposits were capped at 70 per cent. Mr Ichungwa said MPs capped the rates because banks were behaving irresponsibly by pricing interest rates as high as 27 per cent without justification. He said whereas MPs were willing to revisit the law, CBK must demonstrate that it is able to supervise banks to lend money at low rates.